DEFINE YOUR LIFE. DEFINE YOUR LUXURY. It’s one of the most meaningful possessions you’ll ever own—your home. When you define the very space where you spend the most important part of your life, you set the stage for living life to the fullest. We believe that your home is an expression of you and we pride ourselves on our personal approach to building and design. Each home we build is tailored to exceed our clients expectations and deliver uncompromising quality at an unsurpassed value. Your home is the haven you provide for your family and the gracious comfort you offer your friends. 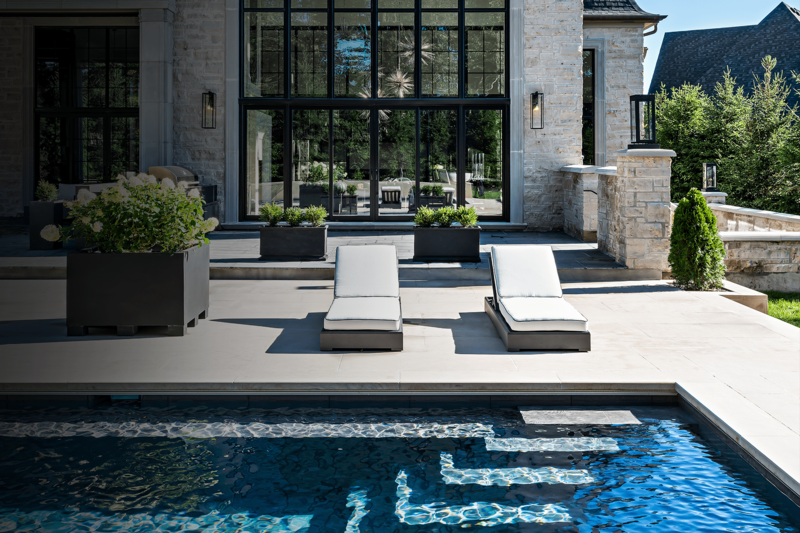 See our portfolio and learn how we can help make your home the classic luxury you deserve. Claxton + Marsh has a classic bottom-up story of growth. The core of our operations consists of Shawn Marsh and Eve Claxton. With this team, we have created homes that are fresh, modern, and iconic. Our secret of success stems from our vision for excellence. Even the trades we use are the best at what they do. 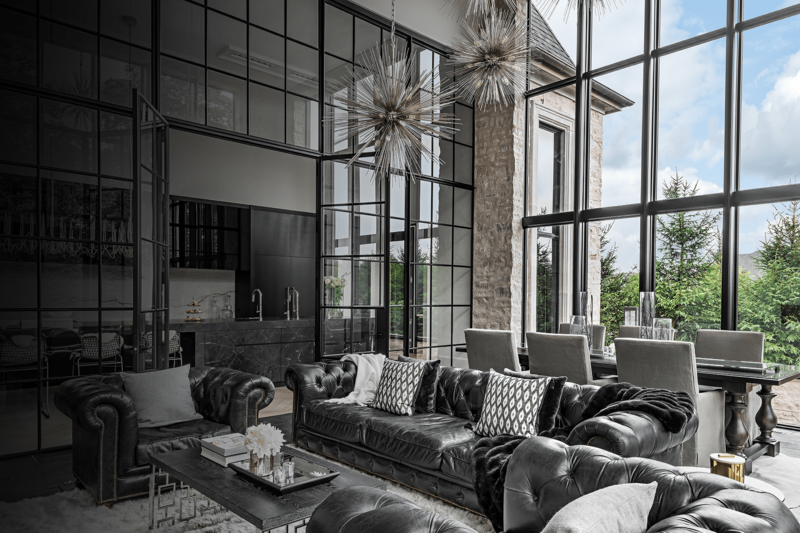 Claxton + Marsh brings its award-winning designs to Heritage Lake Estates in Puslinch. This 9,200-sq.-ft. house has it all—except for costly energy bills. Our experience with Claxton + Marsh Construction has far exceeded our expectations! We have built before, with another builder, and honestly, we were a little more than trepidatious about starting another building project. Our relationship with Claxton + Marsh quickly became one of mutual trust, respect and friendship. From conception to finish, and afterwards, the entire Claxton + Marsh team listened to what we wanted, advised us on how to achieve our goals, and included us in every aspect of the project to ensure our satisfaction. The proverbial "icing on the cake" was the fact that every one of the construction crew members was polite, accommodating and left each day by cleaning up the work site! A greatly appreciated extra that always made us feel very respected and worry-free! Claxton + Marsh built our dream home. We were extremely satisfied with their craftsmanship, detail, professionalism. They were always on time and responded very quickly to all our questions and requests. They put their heart and soul into their work and were extremely helpful. If we ever build another home, it would be built by Claxton + Marsh. Our experience with Claxton + Marsh exceeded our expectations and has rewarded us with our beautiful new home. From the start of architectural design and onsite planning, to the full construction experience, it was evident early in the process that the Claxton + Marsh crew had a quality expectation that would not be compromised. We were thrilled with framing standards set with the custom work done by these craftsmen. We were looking for a casual residence with a cottage rustic feel and high-quality open concept design we felt comfortable entertaining in. The combination of open, yet defined spaces with the use creative stone, barn beams and both natural wood burning fireplaces and separate gas fireplaces gave us the warmth and casual feel we had hoped for. Claxton + Marsh was very helpful with installation of all appliances and assistance in the move in and follow up of the various finishing aspects of moving in to a newly constructed residence. We would strongly recommend Shawn Marsh, Eve Claxton and the Claxton + Marsh Crew for any custom home building project. We were first introduced to Claxton + Marsh in the course of our searching for a new home to build in Guelph for our family of four. We happened to come across their model home on ? Drive. 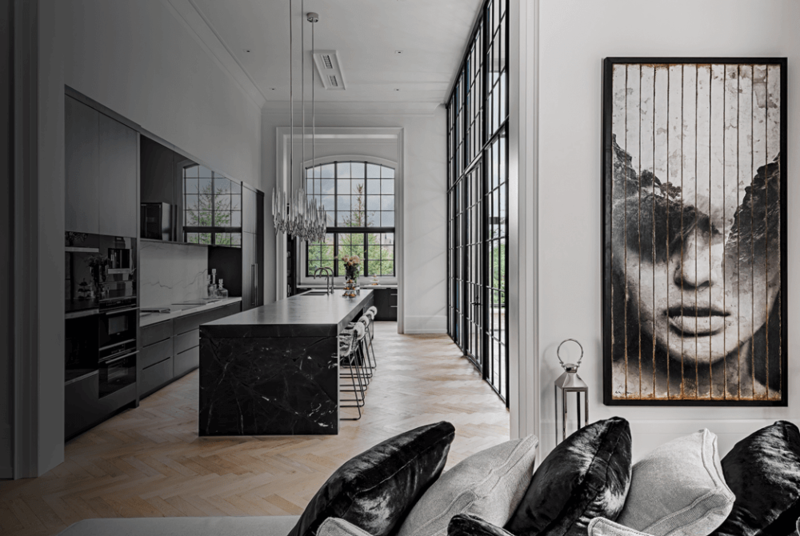 The photos we saw of the model reflected an exquisite space with modern sensibilities and very creative and tasteful finishes. We made arrangements to meet the principles of Claxton + Marsh at the house shortly thereafter. The purchase of a home, unlike a house, particularly one of this size and cost, involves considerations beyond marketing material and a nice model. It requires confidence in the competence, vision and skill of the builder and trust in his integrity. Those qualities were evident during the course of our very long discussion with Shawn in which we shared with him our vision and hope. It took a surprisingly brief period of time for us to come to an agreement on the construction of a home, the size, design and finish of which was yet to be determined. And there it began. Shawn quickly introduced us to a wonderful architect named David Small and we began the design process. Shawn and Eve remained personally involved, meeting with us and the architect whenever required. The design was quickly finalized, a contract negotiated, and work begun. The construction of a home, like any new relationship, begins with feelings of euphoria and excitement. And, like any relationship, over time, with the diminishment in excitement comes the inevitable stumbling blocks and challenges. Such issues arose in this project from time to time and on each occasion, Shawn and Eve were accessible, informative and creative. They were focused on the resolution of issues and issues were resolved. Despite the fact that Shawn was working on a number of projects we never felt that the construction of our home was of secondary importance. In this respect, Claxton + Marsh was capable of managing the various projects it was working on efficiently and effectively. The project proceeded at an appropriate pace and we sought and were invariably given wonderful advice about options and finishes as the project unfolded. 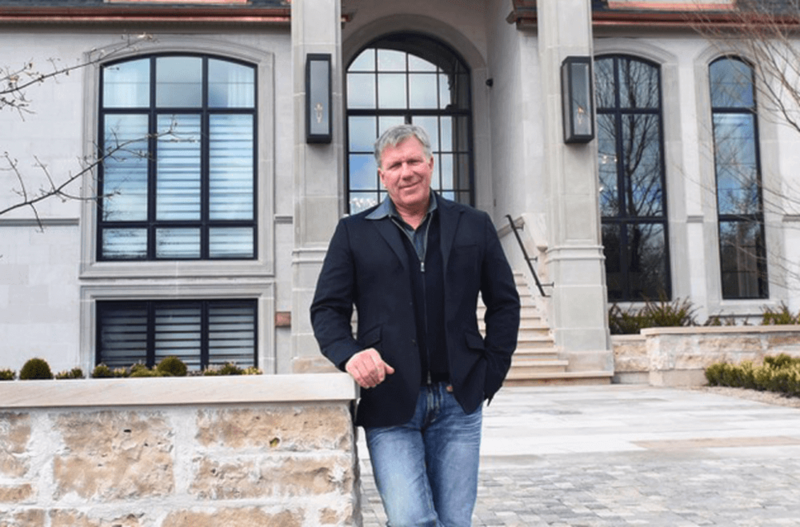 More significantly, Shawn was so concerned about the quality and finish of this project – the integrity of his work – that he was prepared to invest his own time and material in improvement and finishes that in some cases exceeded our budget, but improved the property. I have never encountered a builder that was prepared to assume the cost and expense personally of various aspects of the work in order to ensure that the completed projected reflected the very best he was able to provide. In this respect, the project proceeded like a partnership in which we would share in the pride of construction and ownership at the conclusion of the project. We could not have expected more. And indeed, we expected considerably less. Upon completion of the project, Shawn and his team were constantly available to us to address the inevitable issues that arose. They were responsive and helpful. Finishes or touches that didn’t quite work were redone until they were just right. They made a difficult process tolerable. Ultimately, this home is more than we expected and an enormous joy. We are very grateful to Shawn and his team for their hard work and dedication and commend him to you and your organization as displaying the highest degree of integrity and skill. Claxton + Marsh built a pool house for our family. It was an incredible experience. Highly professional with acute attention to detail. Very respectful crew. Truly custom build. Owners were on site daily ensuring project was progressing smoothly. Can't wait to build with Claxton + Marsh again! Buying our exceptionally designed custom Claxton + Marsh home was an easy decision. Our high standards for quality, style and craftsmanship combined with awe-inspiring architectural features make this house outstanding not only to us, but our guests too. Its clear that our home has that wow-factor built in. While the house includes many luxury features, the style feels cozy, warm and welcoming, with a sense of refinement. This was achieved through the careful selection of finishes and design elements integrated with great attention to detail, a quality that Claxton + Marsh exudes. All of these factors raised the house to a level that none of the other homes we looked at could compete with. That being said, all of this would be moot if the after sales service didn't live up to our expectations and we are happy to say it has been outstanding. Constant follow up, either requested, or just checking in, has made the experience as smooth and as trouble free as possible. We are very satisfied and happily to talk about our new home and new home experience with others who are searching for their dream home wishes to come true. We are pleased to provide a recommendation about the company that built our custom home. 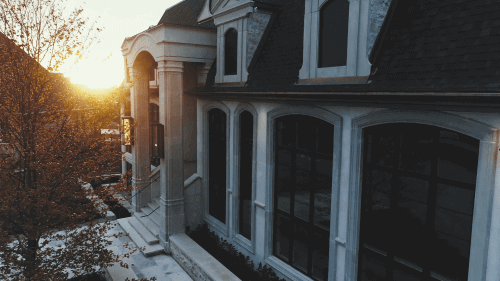 Our project involved the demolition of an existing home and the design, build and project managing of a new custom-built home on our property, within a short timeframe. What was important to us was not only to have a well-constructed home, with the standards of finishes that we wanted, but also to have a trustworthy and qualified builder to take ownership for the project as if he was building his own home. We found those attributes in Shawn Marsh, owner and operator of Claxton + Marsh. Shawn and his team exceeding our expectations as well as delivered the project that met our timeline. I have worked with Claxton + Marsh for about 5 years now and not only do they make an exquisite looking home. Quality really matters to them. Shawn and Eve put their heart and soul into each home that they build. They use the highest quality products and really work with the customer to give them their dream in the budget that they want. I would have them build me a house in a heart beat.